Stephen has been discussing the side strip: Sidestrip #5: The evidence is overwhelming that the Turin Shroud is authentic! "A carbon-dating test would be final if it led to a date significantly later than the early first century. A first century date, on the other hand, would remove almost all obstacles to universal acceptance of the `Shroud’ as authentic. 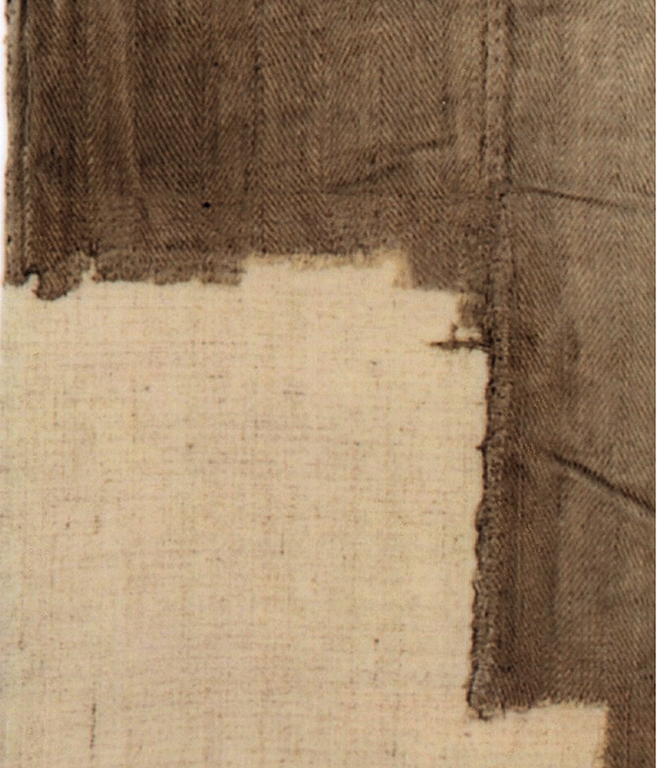 Only the careful objective scientist might still point out that a first century cloth could have been found and used by a 14th century artist to paint the image". Does Stephen mean this is overwhelming – the emphasis on the word in the title of his posting is his – or that this argument, in conjunction with a gazillion other (or a few other) arguments, is overwhelming. I think he means the latter. I’m just not a big fan of piling up weak arguments one on top of the other. But then, again, that’s just me. And maybe it’s not weak. I think this is one of a collection of pieces of evidence that together form Stephen’s “The Evidence is Overwhelming that the Turin Shroud is Authentic!” project. He has several ongoing projects simultaneously, which it is sometimes difficult to keep track of. Others include: The Turin Shroud Dictionary, The Turin Shroud Encyclopaedia, the recent Shroud of Turin News, and of course, My Theory that the Radiocarbon Dating Laboratories were Duped by a Computer Hacker. “The Shroud has almost invisible stitching in its seam that is identical to stitching found elsewhere only at the Jewish fortress of Masada.” This is simply not true. The source is Mechthilde Flury-Lemberg’s examination, as reported in Sindon (Dec 2001). “The seam that connects the 8 cm wide strip to the larger segment is not a simple one. The type of seam construction chosen clearly displays the intention to make the seam disappear on the face of the cloth as much as possible. This is another reason to believe that the Shroud was planned and produced by professionals. The sewing has been done from the reverse of the fabric and the stitches have been executed with great care and are barely noticeable on the face of the Shroud (fig. 3a). The seam appears flat on the face (fig. 3b) and raised like a roll on the reverse of the fabric (fig. 3c). Examples of this same kind of seam are again to be found among the textile fragments of Masada  (fig. 3a), already mentioned above. To conclude this chapter it can be said that the linen cloth of the Shroud of Turin does not display any weaving or sewing techniques which speak against its origin as a high quality product of the textile workers of the first century A.D.” This is far from saying that the seam is at all unique to Masada, or to any particular time. As it happens, I don’t agree with some of Flury Lemberg’s interpretations. Try this: “The intention to make the seam disappear on the face of the cloth as much as possible.” Almost all seams are designed to make the seam disappear on the face of the cloth – check your own clothing if you don’t believe me! Nothing special about that. Next: “The sewing has been done from the reverse of the fabric and the stitches have been executed with great care and are barely noticeable on the face of the Shroud.” Actually there are two lines of stitches, both, as far as I can judge, overcast, one sewn from one side and one from the other. “The seam appears flat on the face (fig. 3b) and raised like a roll on the reverse of the fabric.” If the diagram reproduced by Stephen is anything to go by, this is not so. The seam appears identical on both sides. (Try it with a piece of paper if you don’t believe me.) Anyway the seam is a fairly common lapped fell seam (look it up), and although today it would be held together with running stitch, in medieval times (such as at Viking sites in Denmark) an overcast stitch, as here, was certainly used. If I may, I think this illustrates a common failing among researchers, and one which I have consistently reiterated, which is the need to examine primary sources, not merely opinions based on them. Here, Stephen’s references are to Thomas de Wesselow’s The Sign and Ian Wilson’s 2010 Shroud, and there has been no attempt to verify the original source, or to derive an original interpretation from it. Of course, if all one is looking for is confirmation of ones own views, then a book agreeing with them is all you need, but for the education of others who want to make up their own minds, something of a little more depth is required.